Well this is pretty big news, and I am happily able to post about it now that the cat is out of the bag! 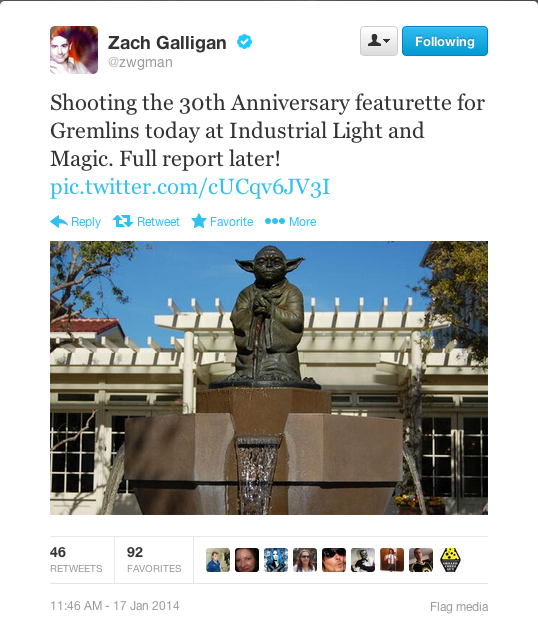 Gremlins (1984) is getting a 30th Anniversary edition Blu-Ray this year!! 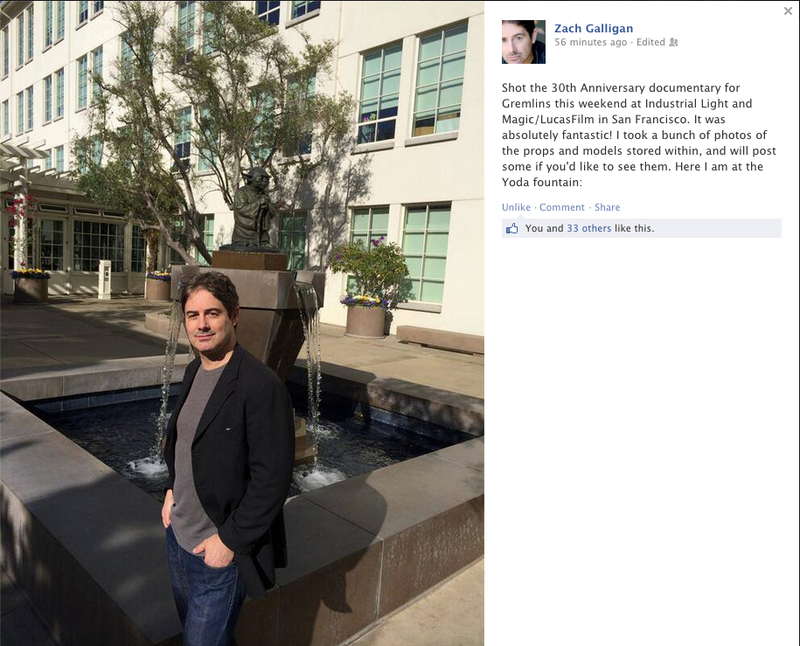 Gremlins Star Zach Galligan himself has been keeping the fans up-to-date on twitter and Facebook, and posting some fantastic looking photos of himself looking quite dapper at ILM. 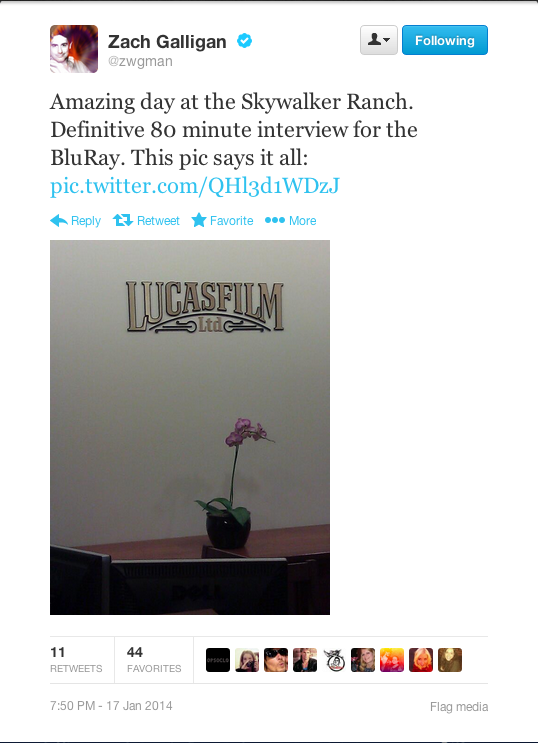 Can’t wait to see the interview and this definitive release! Zach talks about his love of schlock horror movies, the re-casting of Sarah, his own experiences working with Anthony Hickox and much much more. face kind of hanging off, which side-note was actually the doorman at a really popular Los Angeles club.